Ashley POKER is a multifunction product 4 in 1: it is ash vacuum cleaner, wet & dry vacuum clenaer and and has blowing function. It is suitable to vacuum ash from any type of fireplace, stove or barbecue, dust in general and even liquids. 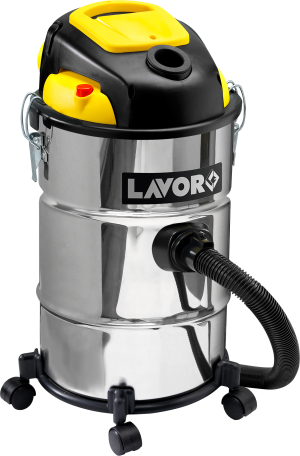 Equipped with the innovative pneumatic filter shaker for fast filter cleaning without opening the tank. Vacuum system with by-pass cooling. 2 cloth filters + special pre-filter for fine dust. The special pleated filtering material allows to have a greater filtering surface in a small space. For dry waste only, reusable, it can be cleaned with compressed air. The special pleated filtering material allows to have a greater filtering surface in a small space. Both for wet and dry waste, reusable, it can be washed with water or cleaned with compressed air.